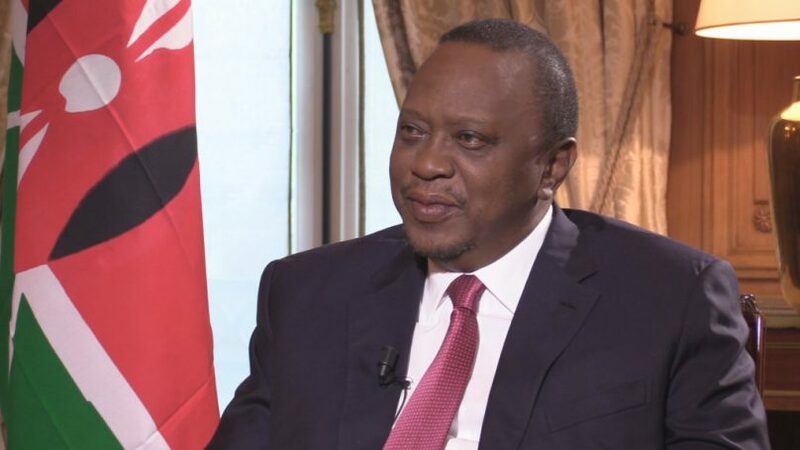 The contradicting signals from Uhuru Kenyatta on whether he is interested in any political office after the end of his second term have caused uneasiness in Mount Kenya region, an area used to having a political kingpin since independence. But one thing that is clear is that Uhuru himself has created a power vacuum in Kikuyu politics just like Raila Odinga has done in Luo Nyanza, to help the Kenyatta family remain relevant in Kenya’s political terrain. If Uhuru wanted to hand Kikuyu power baton to any formidable face to succeed him, he could have nominated a powerful face to either parliament or senate to help chart his succession race. Instead, he rewarded his favourite cousin Beth Mugo with the nomination to the senate. Insiders say that the Kenyatta family will not want any other family in the community emerge more politically or economically powerful and that is why the late Kenyatta was comfortable with Daniel Moi succeeding him as Kikuyus surrounding him were left guessing and baying for each other’s blood. In fact it is said that the Kenyattas were used by Moi to have Mwai Kibaki run for presidency in 1992 to split the Kikuyu vote that was in support of Kenneth Matiba at that time in point. The brains behind the formation of DP was Uhuru’s uncle and Mama Ngina Kenyatta’s brother, the catholic priesthood deserter George Muhoho. What is now worrying many observers is that in less than four years to the end of Uhuru’s presidency, there seems to be no clear leader from the Mt Kenya to pick up the mantle. The region now finds itself, for the first time in Kenya’s history, without an individual to rally them together, against a common or imaginary enemy. In the past, things have worked meticulously for Mt Kenya during transitions—from the old order of Mzee Jomo Kenyatta to the point where the whole region recognised Kibaki as its most senior leader despite a huge pool of ambitious politicians. Prior to independence, Mzee Kenyatta was the undisputable leader of the powerful Gikuyu, Embu and Meru Association, with few daring to contradict or oppose him. When Moi assumed the presidency in 1978, Gema had a long list of leaders to choose from, but with Mwai Kibaki as the vice president, he had an upper hand. 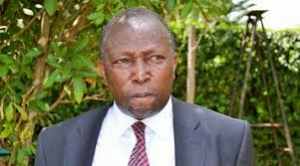 Others angling for the community’s leadership baton included then powerful Attorney General Charles Njonjo, then Kenyatta physician Njoroge Mungai and former minister Mbiyu Koinange. Those surrounding Kenyatta were also afraid of the emerging factor of JM Kariuki among Kikuyus scheming for presidency hence his assassination. When Moi took over power after Kenyatta’s demise, Njonjo started working on modalities to be the next president and become the powerful figure from the community in Moi early years in power. Although Kibaki was the vice-president, he could not match Njonjo’s influence in corridors of power. 1988, another Kikuyu by Moi, was aimed at taming seasoned politicians from Kikuyuland with nondescripts as Moi consolidated his power and weakened the community both politically and economically. Karanja was to be replaced by the late Saitoti, a Kikuyu from Ndeiya but who presented himself as a Maasai. 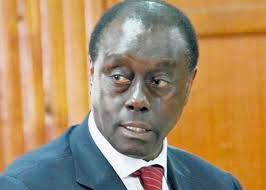 By picking Saitoti, Moi’s intention was to move Kikuyu political influence from Central province to Kikuyu migrants. By then, Moi never thought he would leave power but die as president. To that the effect, the Kikuyu community, and not the Luos, were his major headache. Although Luos are united, the undoing is money power and falling behind the Kikuyus in numbers. In fact, Moi’s decision to bring together Kalenjin subtribes to be counted as one during national census was aimed at countering the Kikuyu population factor. During Kenyatta’s regime, every Kalenjin subtribe was independently counted. 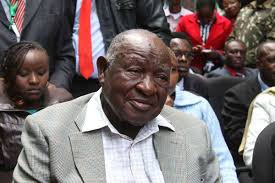 During the clamour for political pluralism, former cabinet minister Kenneth Matiba, who alongside former Nairobi mayor Charles Rubia took the bull by the horns in demanding greater political space, emerged the leader of a big chunk of Mount Kenya region residents. Matiba who contested the presidency on Ford Asili in 1992, coming second to Moi, won support in the Kikuyu dominated regions of Kiambu, Nairobi, Nakuru, Murang’a and Embu while Kibaki, who came third in the presidential race, garnered support in Nyeri, Meru and Nyandarua regions. Matiba and Kibaki combined votes were enough to send Moi home, but their split saw the former president rule the country for another 10 years. In the 1997 elections, Kibaki was the undisputable leader of Gema after Matiba pulled out of the presidential race, largely due to health issues. However, Kibaki came second to Moi in the 1997 presidential election and remained the leader of the opposition until the 2002 general election when the National Rainbow Coalition, which he headed, trounced Kanu in the election. The Kanu presidential candidate was a fellow Kikuyu, Uhuru Kenyatta. In the 2007 election, Uhuru threw his weight behind Kibaki, a move that ensured the Gema vote was not split. Kibaki won the presidency against ODM’s Raila Odinga, who disputed the outcome, resulting in the post-election violence that left over 1,300 Kenyans dead. Kibaki would remain the regional kingpin until 2009 when former cabinet minister John Michuki known for his outspokenness said that Uhuru was best suited to be the new community leader, giving him a clear headstart over perceived rivals. 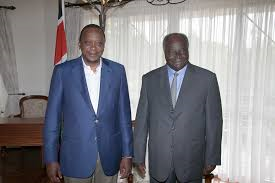 Kibaki also helped Uhuru’s ascendancy after he endorsed him for the deputy prime minister’s slot in the negotiated grand coalition government and later appointed him Finance minister, a position where he served briefly before the International Criminal Court indictment left him only with the negotiated position. Paul Muite from the community also ran for presidency in 2013, together with Martha Karua, and Peter Kenneth. By then, according to them,the ICC ghost was haunting Uhuru and the community did not want to be left out in the Kibaki succession race. To the contrary, the ICC factor played in Uhuru favour and he won presidency. 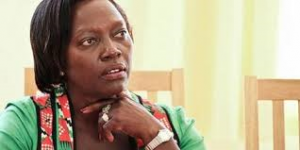 Karua who was also angling to be the Kikuyu queenpin, was left in shock after Kibaki chose Uhuru as deputy premier. Uhuru later teamed up with William Ruto and the duo won the 2013 and 2017 presidential elections. But with 2022 fast approaching, there is confusion over who will take Uhuru’s mantle in Mount Kenya. Uhuru’s close allies are proposing the creation of prime minister’s position for him, ostensibly because he is still young. However, it is said that Uhuru is not keen for such position. But if need be, he will influence a person from the community to land the slot. Since the March 9 2018 truce with Raila, two camps have emerged in the Mt Kenya region proffering different stances on the 2022 presidential race. While one axis — comprising mainly former lawmakers — is pushing for Uhuru’s comeback in 2022 as powerful prime minister and Raila as powerless president, another faction is gravitating towards Ruto. But Ruto’s camp is now in disarray, with indications the war on corruption is meant to finish their man. Indeed, the proRuto camp is reading mischief in the Uhuru-Raila handshake, which they see as part of a wider scheme to scuttle the DP’s ascension to the top job in 2022. But both camps are in the dark over Uhuru’s next course of action. During an interview with CNN’s Richard Quest last year, Uhuru asserted that he is neither interested in extending his stay in office beyond 2022, when his second and last constitutional term ends, nor seek any public office. But this has not stopped some in his camp from pushing for a creation of a PM position like president Vladmir Putin and prime minister Dmitry Medvedev swapped positions at the end of Putin’s term in which after running for the constitutional two terms between 2000 and 2008, the Russian president had a power-switching operation on May 8 2008, that saw Medvedev elected his successor. Immediately after handing the presidency to Medvedev, Putin was appointed prime minister of Russia, maintaining his political dominance and influence. Kikuyus pushing for Uhuru to stay on and who have been benefitting from his presidency and so want the good times to roll on argue that there is no clear successor capable of attracting the support of major political and economic brokers from the region. Uhuru will turn 62 years in 2022. Those who are reaping from his presidency claim that he will be “too young” to retire from national politics. Last year, more than 70 MPs from the region who had met in Naivasha for private talks were forced to abandon Uhuru’s succession agenda after it proved sore thumb to some. Instead, they scheduled a meeting with the president to seek clarity on the matter and other economic issues affecting the region. Before the president intensified the war on corruption, a cross section of leaders in Central were jostling for political influence in the region, hoping to catch the eye of Ruto to be picked as his running mate. The politicians who were fighting to succeed him as the regional kingpin were engaged in a vicious war, with each protagonist putting a deliberate effort towards raising their political profile. Those considered front runners included Kenneth, Agriculture cabinet secretary Mwangi Kiunjuri, Murang’a governor Mwangi wa Iria, former Kiambu governor William Kabogo and Gatundu South MP Moses Kuria, even though pundits claim none of them makes the cut. Political analysts aver that Kuria’s decision to run for presidency in 2022 on Democratic Party of Kenya is on the basis that Uhuru has created a leadership vacuum among the Kikuyus for him to remain relevant and direct them where to vote in 2022. This, as Uhuru waits for his favourite son to come of age politically and hand him the baton. Infact, it is suspected in some quarters that Uhuru was happy with the manner in which Ruto carried out the Jubilee nominations in which the big names were thrashed as this worked for Uhuru’s longterm plan of clearing the taller trees. At one time Uhuru stated that those thinking he is politically irrelevant in his succession game plan will be in for a rude shock on who he will pick as his preferred candidate. Fear is that if the community’s political interests are not taken care of in 2022, they will not come out in large numbers to vote, hence a need to create a powerful seat for them. The community is only known to back one of their own in any political race and vote to the last person compared to the Luhya community, the second in population although now said to have overtaken Kikuyus in numbers who play stomach politics and do not back one of their own. 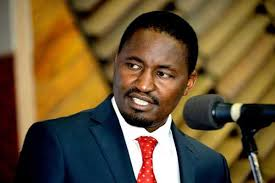 Kiunjuri is the only CS who is a politician from the region and his appointment was seen as a deliberate effort to accord him visibility with the 2022 succession in mind. The CS had even brought on board leaders from Nyandarua and Laikipia led by woman representative Catherine Waruguru to drum up his bid to be the regional kingpin. However, with fingers being pointed at him for failing to offer leadership in his ministry, and claims he faces arrest over abuse of office, Kiunjuri is no longer a frontrunner in the Uhuru succession. 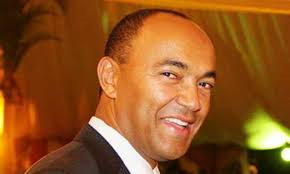 Kenneth, who in 2013 was Uhuru’s competitor albeit an also run, has been seen as a potential kingpin due to his character which portrays him as a sober leader. But his critics say one of his shortcomings is that he is colourless and lacks presence. Others say he is too much affected in his mannerisms which makes him come out as cosmetic. Murang’a senator Irungu Kang’ata had even endorsed Kenneth, saying “he is a good potential leader” but requires grooming. 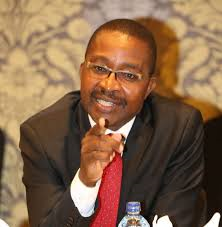 For Wa Iria, the only governor serving a second term in the region, is behind the Civic Renewal Party, a new political party he might use to further his political agenda after 2022. He is also rallying hawkers hoping to be a running mate of either Ruto or Raila, whoever Uhuru backs for the presidency. 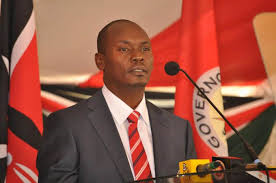 For Kabogo, his loss to Ferdinand Waititu in the Kiambu gubernatorial race was a big blow. He has tried to associate with Ruto, Raila, Gideon Moi and lately Musalia Mudavadi. 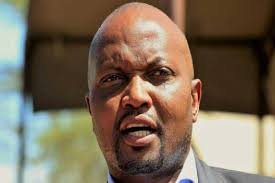 Kuria through the crops amendment Bill has also been pushing for the revival of coffee sector, a move that pundits opine if successful, it could boost his popularity. Kirinyaga governor Anne Waiguru is also being mentioned as a possible Kikuyu leader. However, historically, the Kikuyus were only once led by a woman, Wangu wa Makeri, and the experience they had with her leadership makes it impossible for them to pick a woman as their overall leader. But there is also an ongoing debate that Kikuyus will have to give way to a leader from either the Meru or Embu region since all other past leaders from Mt Kenya have come from Central Kenya. Tharaka Nithi senator Kithure Kindiki, Meru governor Kiraitu Murungi and speaker Justin Muturi have been mentioned in various quarters as potential torchbearers of the region. While serving as senate majority leader, Kindiki used to traverse the region, in the company of the Ruto, to sell the government agenda. But he now seems to have slowed down with indications Ruto is not considering him for the running mate position. But even as Mount Kenya region ponders its next political move, there is disquiet in Rift Valley where Kikuyus residing there are uncomfortable with the Central Kenya leaders’ move to abandon Ruto. Kikuyus in Rift Valley are wary of their Central counterparts move to violate the 2013 pre-election pact between the two Jubilee principals Uhuru and Ruto.